Stand up paddling is one of the best core excersizes you can do. pigeon point is perfect as it has a sheltered beach from the wind also(called south beach) where you are blocked from the wind making learning stand up paddling or stand up surfing small waves easier. 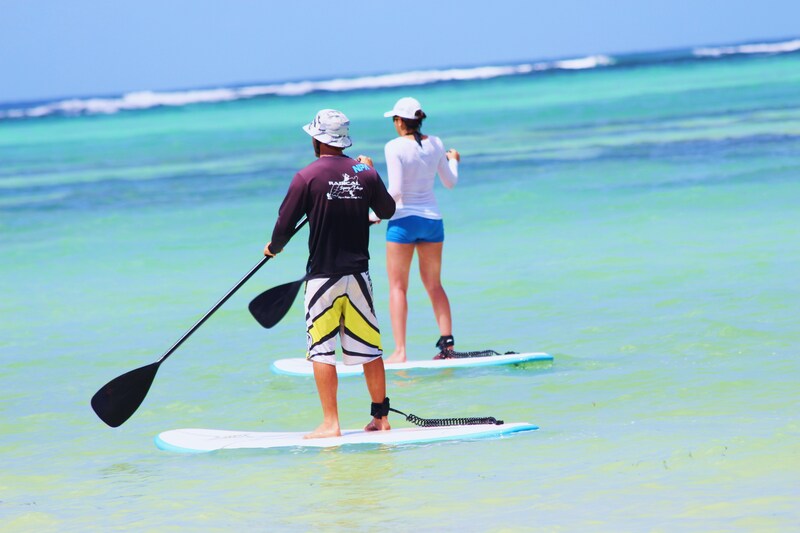 We also organise stand up paddle tours to special areas around the island; mangrove tours, wave spots and off course our famous bioluminesence tour. check out my brother duane of stand up paddle tobago also for more info and lesson info. 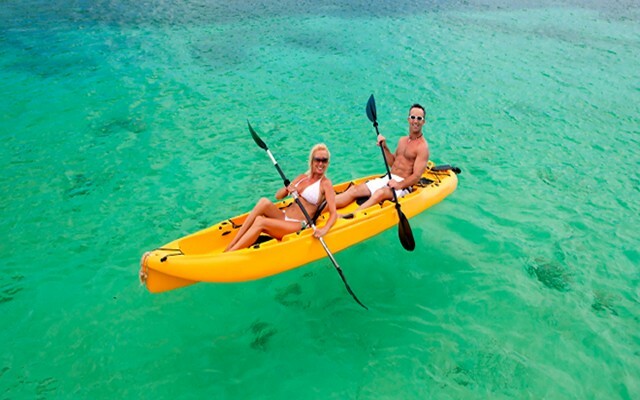 Kayaking is also a great excersize you can do at radical sports tobago. pigeon point is perfect as it has a sheltered beach from the wind also(called south beach) where you are blocked from the wind making offering quiet easy paddling down the coast. If you have the stamina you can power through the wind to the bonaccord lagoon where you can see the mangroves and birds that live in this protected area. no mans land and the nylon pool are also accessible by kayak but can be tough to reach if the wind is cracking. look out for turtles and spotted eagle rays as we see them everyday in this area. sailing is both fun and easy to learn with our hobbie wave catamaran. its also a relaxing way to cruise to the nylon pool and explore the many wonders of the buccoo reef marine park. you can also go check out the famous no mans land and take a walk down its beautiful beachline. Look out for swimming turles and jumping Spotten rays which are often present in the area.If you don't know how to sail, our staff would be happy to setup a lesson to give you the basics to get you going. Stand Up Paddle board on your own in the day or tour with us at Night. Relax and Paddle in Paradise.